ALMOST everyone who struggles with weight has been there: Losing weight was the easy part, but the biggest battle is keeping it off. So why is long-term weight maintenance so difficult? Some experts claim that it is due to a change in metabolism i.e. the person who lost weight may have heavily restricted their calorie intake to reach goal, however, all this did was slow down the rate at which they burn future calories. So as soon as ‘normal’ eating is resumed, the weight just piles on as the body has lost its ability to metabolise it effectively. Unfortunately, this can happen as a result of wanting to lose weight as quickly as possible. 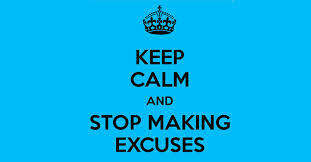 As we live in the 21st century, we want instant success in everything we do. However, effective weight loss is anything but immediate. A radical weight loss plan may get rapid results in the short-term (which is a big motivator) but then you need the knowledge move into long-term weight maintenance mode — and this is where many a crash-dieter comes undone. A better approach is to take the focus off “the quickest way to lose weight” – after all, you are destined to fail in the long term. Instead, look for positive lifestyle changes which allow you to adapt to new healthy habits, making it less likely that you will revert to old ways. 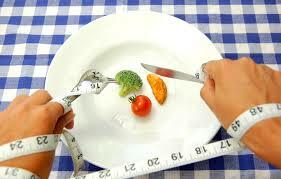 If you have been on the weight-loss / weight-gain rollercoaster, then you need The Natural Way. We are not a ‘ diet’ company! Instead, our clients are educated and supported all the way to their goal, so once you reach your ‘dream’ weight, you know exactly what to do to maintain your new shape. We also offer FREE monthly maintenance visits to you as the regular check-ins really help you to stay on track. Are you getting enough fruit and vegetables in your daily diet? Well, if you read the latest statistics published by the CSIRO, you most probably are not. According to the latest figures only 24% of Australian women are eating enough fruit and vegetables and a tiny 15% of men (for more information, click here: http://www.abc.net.au/news/2017-04-03/fruit-and-veggies-four-in-five-australians-not-eating-enough/8409766 ). Now that is scary! 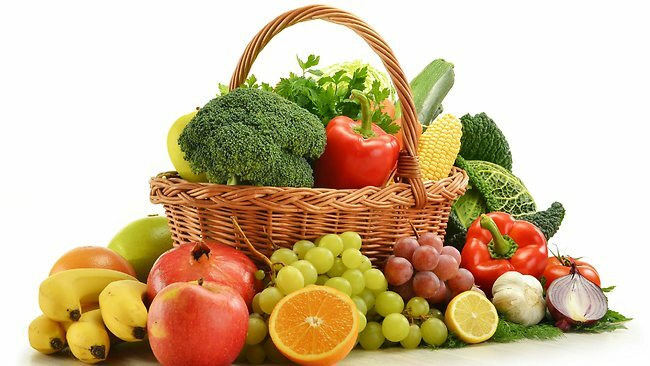 This week, I want to explain what is considered an adequate intake of fruit and vegetables in your diet and how you can easily boost your intake to make sure you are having enough. Are you getting enough fruit and vegetables? According to Australian Dietary Guidelines, we should be eating 2 pieces of fruit and 5 serves of vegetables every day. While this doesn’t sound like much, obviously it is a struggle for most people to achieve. Be aware that a piece of fruit should be at least 150g, so 2 grapes does not count as 2 pieces of fruit. 1 serve of fruit is equivalent to a medium-sized apple / orange / banana / pear etc. One serve of vegetables will vary depending on what you choose. The following is an example of 1 serve vegetables : ½ cup cooked green or orange vegetables OR 1 cup raw salad vegetables OR ½ medium potato OR ½ cup of corn OR ½ cup canned beans / lentils OR 1 medium tomato. Forget the biscuits at smoko! Instead, have a piece of fruit at morning and afternoon tea EVERY day. This way you will achieve your daily two pieces of fruit AND you will save yourself a heap of empty calories too, especially if you usually help yourself to the biscuit jar or vending machine at these times. By the way, these should be whole pieces of fruit – juices do NOT count as a piece of fruit. Ditch the sandwich and take a salad to work during the week. Just by shredding a few lettuce leaves, cutting up a tomato and grating some carrot and beetroot into a plastic container, you are eating over half your vegetable allowance for the day. All you need to add is a tin of tuna / salmon to your lunchbox and VOILA, there you have a healthy, nutrient dense lunch. If salad isn’t your thing (and it can be a bit tough to eat once Winter is here), make a big vegetable and lentil soup at the start of the week and take this for your work lunches. A vege-packed soup can be very filling and again, it is a very easy way to boost your vege consumption for the day. When preparing dinner, make sure you have at least 3 different coloured vegetables on your plate i.e. broccoli, cabbage and carrot. By adapting the ‘3-colours on your plate every night’ it will help you to get a healthy dose of vitamins and minerals and definitely get you ‘over the line’ for your 5 serves of vegetables a day. 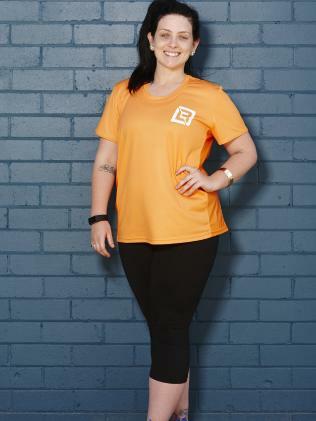 The Natural Way is not just a weight loss program – we educate our clients, while they lose weight, on healthy eating and lifestyles via our Healthy Living Maintenance program (click here to find out more: http://www.thenaturalway.com.au/product/healthy-living-programme/). So when our clients get to goal, not only have they achieved their weight loss ‘dream’, they know how to keep their weight off – FOR LIFE. Call your nearest clinic on 1300 SLIMMER (1300 754663) and book your FREE appointment to find out more about how our fabulous program can work for you. Easter is just around the corner – which means you get an extra-long weekend and the opportunity to eat a whole lot of chocolate! Of course, this would be a dieting disaster, so this week I want to pass on some great tips to help you stay healthy over the Easter holiday. Remember, Easter starts on Good Friday and finishes on Easter Monday. There is no need to binge on chocolate in the weeks leading up to and after Easter. Do not buy any chocolate for yourself and, if you are given any Easter Eggs, choose to eat only one small one. By the time Easter Monday arrives, dispose of any excess chocolate that is in your house or give it away. This way you won’t be tempted to keep eating the chocolate for the coming weeks. Dark chocolate has a higher percentage of cocoa (70-85%) than milk chocolate, which will leave you satisfied with smaller portions. Not only that, chocolate with a high cocoa content contains potent antioxidants that have been shown to have a positive impact on heart disease and other inflammatory conditions. So choose a good quality, small dark chocolate egg to enjoy and make sure it contains high concentration of cocoa. The best way to not feel guilty about enjoying some chocolate over Easter is to make sure you do exercise to ‘burn off’ any extra calories you may have eaten. For example, if you have a Cadbury Crème Egg (39g), you would be consuming around 172 calories which means you would have to walk for 25 minutes at a moderate pace to ‘burn off’ the extra calories. 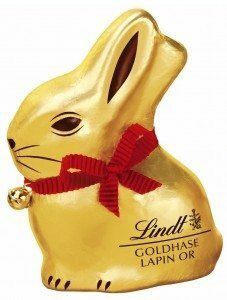 If a Lindt bunny (50g) is more your style, make sure you lace up your walking shoes and take off at a decent pace for 39 minutes! I guess the over-riding message of this blog is to be mindful of what you put in your mouth over Easter. The old saying ‘A moment on the lips, a lifetime on your hips’ may be a little exaggerated BUT if you don’t compensate for any over-indulgence over Easter, then you can expect the scales to suffer later. Remember, Easter is not an excuse to let your guard down about what you eat: instead it should be a time to relax, enjoy time with family friends, and to get outdoors! The Natural Way wishes you all the best for a happy & relaxing Easter break. 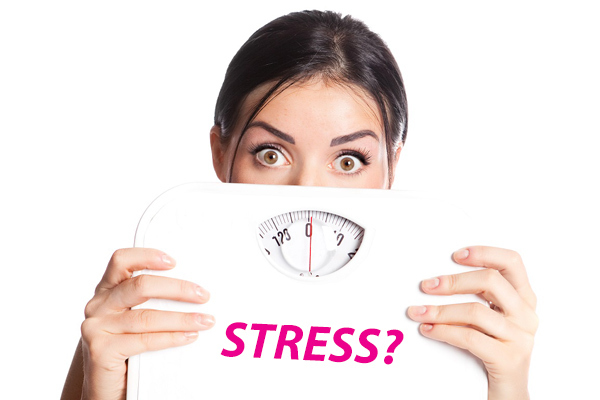 If you need help to get back on track with your weight loss after your holiday, be sure to call us on 1300 SLIMMER (1300 754663). After all, we have been helping Australians lose weight for over 35 years, so we know we have a program to suit your needs, tastes and budget. 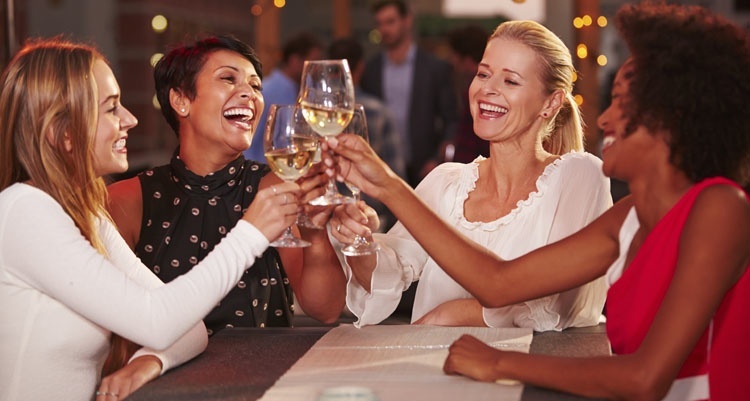 It’s a girls’ night out, so you are meeting up for a few drinks and plenty of laughs. It sounds like a whole lot of fun, but it can actually be quite dangerous to your health if it’s a regular occurrence with you and your gal pals. In fact, compared to men, the side-effects of regular alcohol consumption in females is dire. This week, we will investigate the impact of alcohol on your wellness and why the consequences are much more ‘serious’ if you are a woman. A woman’s body has more body fat than that of a man of the same weight. This means that her body contains less water and therefore when she drinks it results in a higher alcohol concentration in the blood. The concentration of the enzyme that breaks down alcohol, appears to be lower and less active in women than in men which again results in higher blood alcohol concentrations. Generally speaking women weigh less than men, and this difference really amplifies the problem. Obviously, the more regularly a woman drinks, the greater the risk of these health issues arising. However, female binge drinkers (who over-indulge once a week or more) are at the greatest danger of damaging their health. If you are a woman who likes a drink, you should aim to have no more than 2 standard alcoholic drinks per day with AT LEAST 2 alcohol free days a week (preferably in a row). Binge drinking should also be stopped, so women should never have more than the recommended 2 drinks a day in any one drinking session.